Motorsport Ireland drivers Jonny McMullan and Craig Breen suffered the highs and lows of their respective disciplines this weekend. McMullan, the 2014 Motorsport Ireland Young Race Driver of the Year, has been enjoying a superb season and headed to the famous Walter Hayes Trophy in Silverstone full of confidence. A commanding win in his heat on Saturday put Jonny into the semi final where he once again impressed in the 12 lap race. McMullan finished fourth and also posted the fastest lap of the race putting him through to the final. Hopes of a good finish in the final were dashed however when after a strong start, McMullan retired on lap 5 leaving Jake Byrne and Robert Barrable as the highest placed Irish drivers in sixth and seventh place respectively. 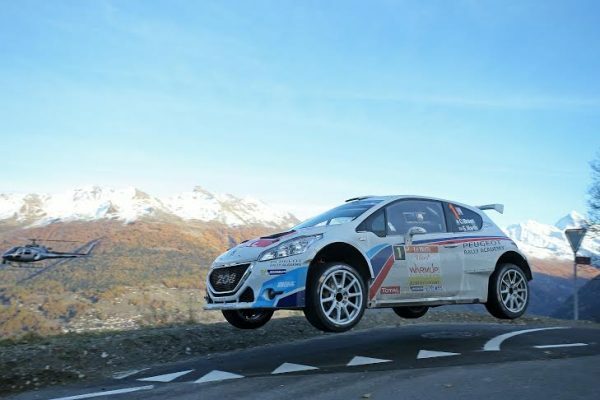 Craig Breen however, seemed to have worked through his patch of bad luck, leading the final round of the European Rally Championship in Switzerland from start to finish in his Peugeot 208 T16. Breen, who had been in contention for the title for most of the season was out to prove a point on the challenging Rallye du Valais. Pulling comfortably away from his rivals, Breen was able to cruise to what seemed to be a convincing win but the Waterford man was his with a 2 minute penalty after a tyre infringement committed in error by his team. The penalty dropped Breen to second place meaning Russian driver Alexey Lukyanuk scored his second win of the season. Breen will now have less than 2 weeks to take stock before heading to Wales where he plans to compete in the closing round of the 2015 World Rally Championship. At home, Derek Tohill enjoyed a successful debut in his new Ford Fiesta Rallycross Supercar winning the super final of round 6 of the Irish Rallycross Championship by a massive 15 seconds. Thomas O’Rafferty finished as runner up, just edging out the rapid Opel Corsa of Willie Coyne. The event, organised by Carlow Car Club took place at Mondello Park and the Co. Kildare venue will also host the final round of the championship at the end of the month. Pat O’Connell took the honours at Carrick-On-Suir Motor Club’s Rallysprint taking a narrow 2 second win in his Mitsubishi Lancer ahead of the Toyota Corolla of Keith Power.